University of California, Humboldt State University and Williams College took the No. 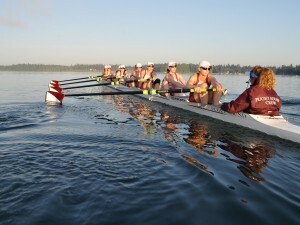 1 spots in this week’s USRowing/Collegiate Rowing Coaches Association polls presented by Pocock Racing Shells. California received 15 of 25 first-place votes to take over the top spot in the Division I rankings. Virginia ranked second, receiving eight first-place votes. Michigan, Ohio State and Southern California rounded out the top five. Michigan and Ohio State each received one first-place vote. In Division II, Humboldt State took over the top spot, earning three first-place votes. Western Washington received two first-place votes to rank second. Nova Southeastern, Mercyhurst and Central Oklahoma rounded out the top five.